Dr. David B. Agus is a professor of medicine and engineering and one of the world’s leading cancer doctors, and the co-founder of two pioneering personalized medicine companies, Navigenics and Applied Proteomics. Why can we call our intestine our second brain, why are multivitamin tablets often useless or even counterproductive and why is it possible that frozen veggies are healthier than fresh ones? These and many more questions are answered by the rewarded American oncologist and professor of medicine and engineering David B. Agus in his latest publication “Life without Illness”. The book is divided into three parts: the first part is about how to define your own health. In this section, Agus treats his field of expertise, oncology, and explains, why genes aren’t the answer for every illness. The second part treats the basics for a healthy lifestyle and the third part deals with the future self including “high tech health” and the art of letting your body heal itself. Agus is a fierce proponent of personalized medicine and the credo of his new book can be described as “get to know your own body and find out how you can keep yourself healthy” – never believe popular beliefs spread by the media and big corporations about what is healthy or unhealthy. As Agus explains, the aim of his work is to help the reader to be as healthy as possible, no matter if he or she is currently ill or not. He wants to make it attainable for everyone to stay at the personal maximum of physical and mental health as long as possible in the old age. To reach this, he lays out several recommendations, which include exploring your family’s health history, genetic screening, and protecting your body, e.g. 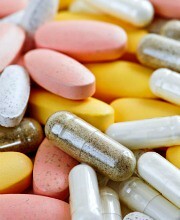 by supplying it with adequate nutrients and keep a regular daily routine. 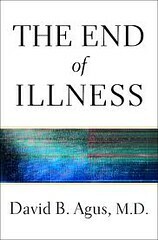 One of the facts that makes his approach to medical treatment so innovative – and criticized by some colleagues – is his approach to deficiencies and illnesses: Agus states that so much in the field of medicine is yet unclear and in constant change that for now, we should concentrate on controlling health problems rather than on understanding them.The only flaw of the book, if it has any, is that much of what Agus shows is based on his personal assumptions. This criticism can be invalidated, though, by the fact that Agus repeatedly mentions this point and that he rightly claims that medicine is a constant process of new developments and findings and very little is of constant validity.